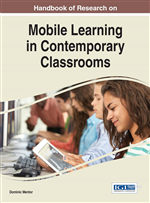 This chapter explores the role of computational thinking in Science, Technology, Engineering, and Mathematics (STEM) learning and proposes effective classroom strategies that foster computational thinking. In a study conducted in an elementary after school classroom, the authors found that incorporating Computational Perspective Practice (CPP) to STEM subjects fosters higher-level cognitive thinking skills as well as learning in STEM domain. The 10 week-long after school program demonstrates positive effects of incorporating CPP to embodied activities in mathematic units prior to programming practice on learning coding as well as mathematics. The chapter concludes with recommendations for interweaving physical activities and a tablet-based programming application into elementary-level STEM classrooms. The advancement of communication technology and the emergence of technology-rich tools continuously transforms the way in which we live, work and learn (Voogt, Erstad, Dede, & Mishra, 2013). This rapid development of technology imposed new challenges to educators because of “fundamental changes in both what has to be learned and how this learning is to happen” (Voogt et al., 2013, p. 403), and increased attention to learning in Science, Technology, Engineering, and Mathematics (STEM) domains. President Obama identified STEM learning as a key for innovation and global leadership in the 21st century and established initiatives for STEM learning (White House Press Release, 2010). Individual subjects in STEM domains are not new and have been taught in school (Sanders, 2009). However, they were not taught as interconnected practices as they are in the real world. Therefore, the growing attention to STEM learning focuses on the interconnected nature of each domain in STEM. The Next Generation Science Standards (NGSS) and Common Core State Standards (CCSS) address the interdependence of individual practice (Bybee, 2014). However, despite the growing demands for STEM education, studies indicate a shortage of student interest and an undersupply of a trained workforce (Hossain & Robinson, 2012; Voogt et al., 2013). The National Science Board (2010) has emphasized the significance of early exposure to STEM concepts in childhood education, but appropriate curriculum is still lacking pedagogically and developmentally. In response to growing demands for STEM learning in elementary classrooms, this chapter seeks to make STEM learning attractive to young students by proposing effective instructional strategies that develop computational thinking ability, as a core component of STEM learning. Computational thinking is often identified as part of a set of 21st century skills, which provides the underlying framework for the CCSS and NGSS (Dede, Mishra, & Voogt, 2013; Dede, 2010; Voogt et al., 2013). “21st century skills” often refer to the competencies necessary for living and working in the 21st century (Voogt et al., 2013). Although the existing 21st century skill frameworks vary in details, reviews of such frameworks showed consensus on the importance of digital technology literacy (Dede et al., 2013; Dede, 2010; Einhorn, 2012). Across the frameworks, digital literacy, problem solving, critical thinking and creativity are identified as skills essential in 21st century societies (Voogt et al., 2013). These skills combined consist of the core of “computational thinking” as defined by Wing (2006). This term was used to describe a set of thinking skills, habits, and approaches that are integral to solving problems and designing systems from a scientist’s perspective. Computational thinking gives learners a framework to visualize and analyze problems (Einhorn, 2012). Wing (2006) defined computational thinking as “thinking involving solving problems, designing systems, and understanding human behavior, by drawing on the concepts fundamental to computer science” (p. 33). The gist of computational thinking is to think like a computer scientist when being confronted with a problem (Grover & Pea, 2013). Many scholars have argued that computational thinking skill is not limited to computer science but is also a vital analytical skill in other forms of STEM learning (Wing, 2006). Moreover, early exposure to computational thinking helps students become more conscious about how to apply computational thinking to problem solving in the STEM domain (Yadav, Zhou, Mayfield, Hambrusch, & Korb, 2011). Therefore, educational efforts should be made to deepen students’ understanding in core concepts of computational thinking for successful integrated STEM learning.